We have suddenly found ourselves with a fifth grader in our house and now planning for our next camping trip is entirely different than I thought it would be. What do I do with him in the car? The drive to our camping destination is over four hours away, so I have to have something to keep him busy while we’re on our long trip. 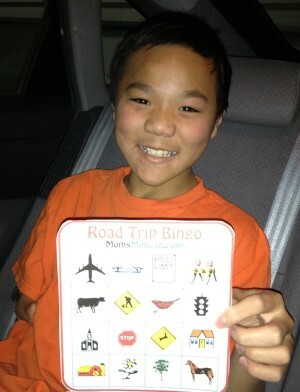 She not only has travel bingo and ideas for the license plate game, but she had printables for things I would have never thought of like a scavenger hunt, battleship and even song lyrics. Hopefully, with enough of these sorts of distractions, we’ll keep our new fifth grader busy and entertained while we get to the campground. Once we’re there, that’s another story.